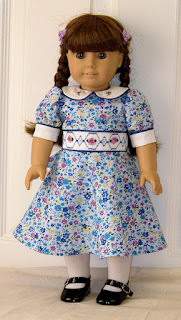 Sam is getting ready for bed in her smocked night gown a Genine original pattern called Emily. Again, this pattern has many variations including a variation for those that do not smock. Genine also includes measurements you will need for using variations of different fabrics, including flannel which can be difficult to pleat without removing some of the bulk. Sam wishes all her doll friends a very Happy New year as they model their new Genine originals. I know all the new Christmas dolls look forward to having a wonderful new wardrobe. Have you spotted those pieces from chandleiers I am not sure what they are called. They fit under the light. I think they are so pretty, so when I ran across some at the Goodwill store I could not let them just sit there, there was only a couple of them but there had to be something I could do with them. About the same time I spotted this candle holder sadly there was only one but I bought it anyhow. Getting home I put the two together added a candle and have what I think is a very pretty candle holder. The search is on for more pretty candle holders, maybe I can put together a set for a table setting. No, first of all you will not find a well decorated, right out of a magazine look here. I debated with myself if I should even share this picture but this is me, this is what you will find most of the time if you were to drop by. I have gone online and have spent hours looking at all the beautiful sewing rooms personally I would be afraid of messing up some of those rooms. Afraid I would not put the scissors back in the right spot. You are welcome here anytime, I will pour you a cup of coffee and we will talk sewing. I hope to share many ideas with you over the coming year, you might as well see where they are coming from. I was able to test this pattern for Genine, it is called Lucy and honestly my version does not do the pattern justice. There is a smocked version of the dress and I can hardly wait to get started on it. I used the plain version, so I could quickly test the pattern and used a Valentine fabric which actually ended up being a good fabric for a Christmas dress. Sam is also ready for Valentines day. 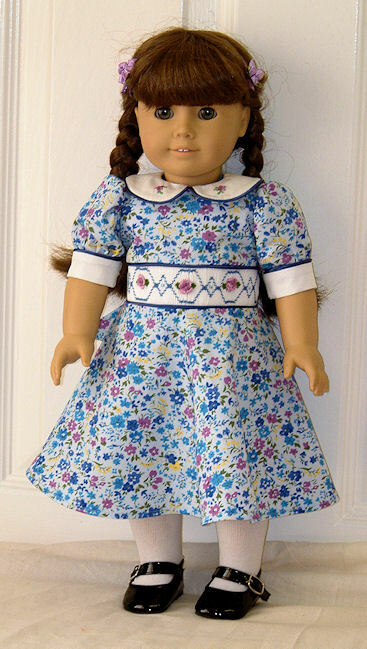 What is strange at least to me is, Sam was a pretty neglected little dolly. When the girls came over they would play with her a little but not much. Now, that Sam is all dressed and has many clothes, the girls come in, say hello to her but never touch her. I don't want her to seem off bounds, I do tell them it's fine that they play with her. I am going to investigate further. I do not want to forget to add Genine's link so you can find these wonderful patterns and also many more of the snowflakes Genine designed. I had forgotten to do that on my last post. This is the smocked version that Genine made. Genine (the doll lady) also digitizes machine embroidery, she is a very talented lady. 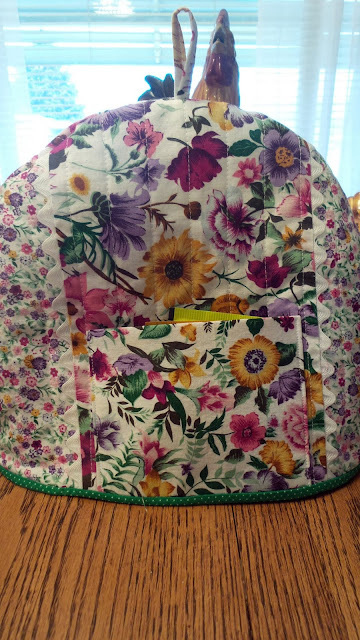 On Everythingsewing forum, Genine shared with us a design we could use. It is a FSL- fleur de lis snowflake. I have never done FSL before. I am new to machine embroidery but with Genine's excellent instructions I was able to make one. In fact I made a few, tied them on gifts as a little decoration and an extra present. I think I am going to like machine embroidery now that I am learning a bit more about it. 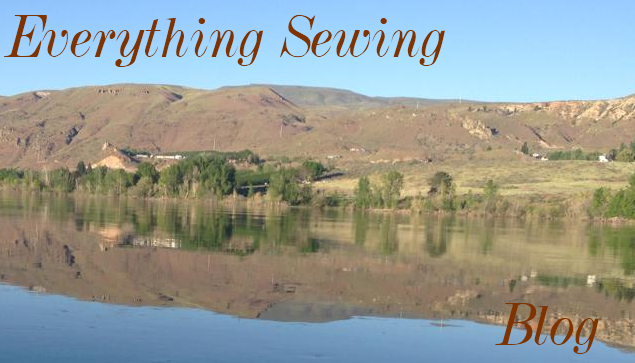 I am behind in everything, blogging, sewing, decorating, well you name it and I am behind in getting it done or even in some cases I have not even started. I will put all of that behind me and start fresh. The item that really put me way, way behind with any Christmas preparations this year was this stocking. I bought the kit 10 years ago when I found out we were going to be blessed with a Granddaughter. I never got around to getting the stocking done. This was the year it was finally going to be ready for Christmas and join the one I had made her brother. After all how many times can you say, "next year"? I have this little problem called procrastination. As Christmas grew closer I realized I could no longer let the stocking go undone. With only a few weeks left, I set up camp at the dining room table, and set about sewing on sequins and beads. I took this picture before I was all done, knowing it would go down to the wire and I probably would not get a picture of it all done before it flew out the door. I did get it finished but with a lesson learned. So, my goal for the New Year, will be to --Do It Now! !